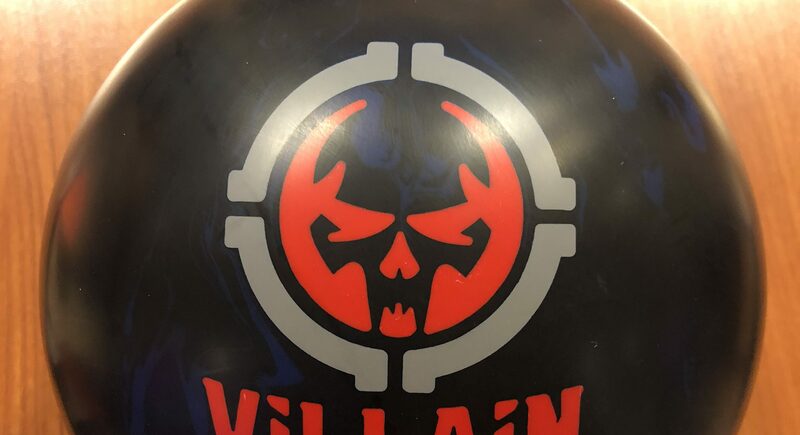 To my eye, the Motiv Villain is a legit benchmark ball. Surprisingly, this slot is not the easiest to fill. Maybe its my expectations but if the Villain fits there, its filling some pretty big shoes. Buy the Motiv Villain at PerfactAimBowling.com. The Motiv Villain is priced just about at the top end. Nevertheless, bang for the buck in my eyes is gauged by versatility and usability. In this case, the Villain looks like that very nice middle of the road versatile ball. This is a very good score on my scale. The Motiv Villain uses the Sinister weight block wrapped in a new Coercion MFS coverstock. Cover is finished with 3000 grit LSS. As I absorbed what I was seeing, it just continued to sink in more and more how good this ball is. The Villain revives the Sinister core. For those that remember, this core initially released with the Cruel C51 with a lowest RG, max diff, and high mass bias. That ball worked well for many bowlers, including myself, but had a very aggressive asymmetric hook set characteristic. When the 2Cruel was released, the RG was raised using the same core. Enough with the history, where are we now? The Villain uses a solid medium strength cover wrapping the higher RG version of this strong core. 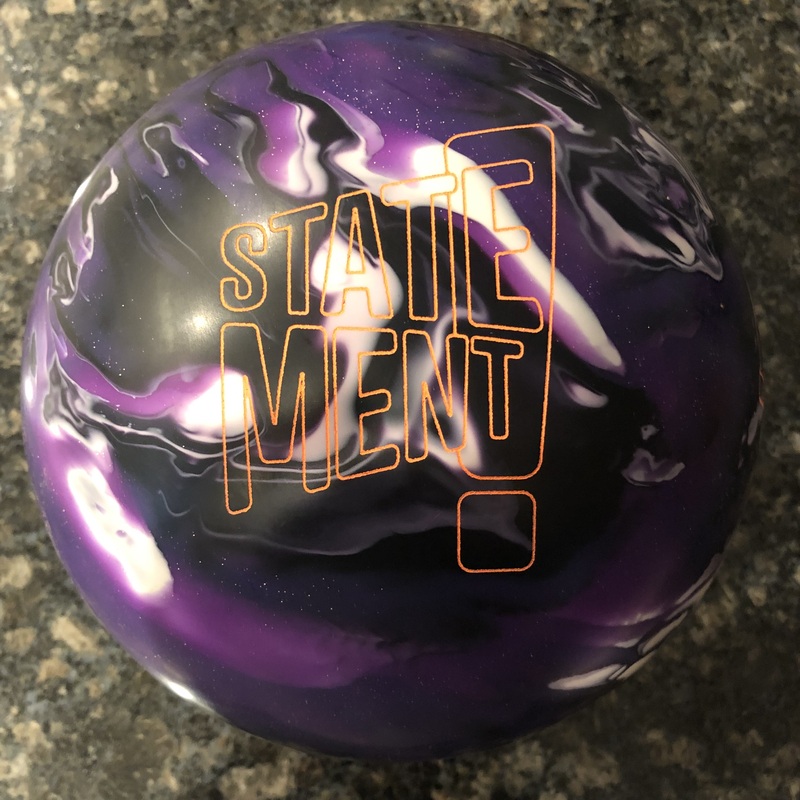 Despite it being an asym, as we’ve seen from Motiv recently, the cover smoothness makes the ball reaction look a bit more symmetric. That’s not a bad thing in this case. The ball offers reasonable length with smooth but moderately boomy backend. It’s got that reliable motion where you know when it will start to hook and you know how much it’s going to move on the backend. It is telegraphic in its motion. 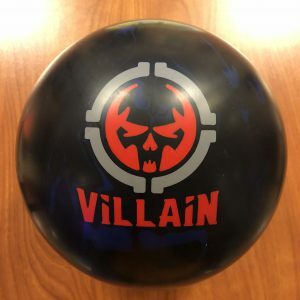 The Villain is the kind of ball that can be used on the fresh to blend over/under. But because it also has a nice reaction off the dry, you can use it a little longer than that heavy oil solid ball. It’s still a solid asymmetric so if you throw it way out into the dry, it will bleed a bit too much energy, not to punish but probably leave a weak corner. Misses in will not hold as cover is starting the roll phase earlier. I compared it to the Jackal Rising on the same line and you will note that the Rising seems to be smoother to transition and doesn’t create as strong a backend and deflects more at the pocket leaving the 10 pin. Moved 2 and 1 more direct and found that heavy roll. May seem surprising that the middle of the road ball hooks more but remember balls hook relative to the amount of oil on the lanes. The Rising is just burning up a bit while the Villain is storing more energy. Compared to the Venom Shock Pearl, the Shock Pearl has more punch downlane, clearly storing a bit more energy, giving them a nice relationship. Venom Cobra is a touch smoother than the Shock and looks to split the difference between the Shock and Villain. Just not sure how much room there would be to have all 3 to be honest. Bryan was next and he enjoyed the Villain very much. 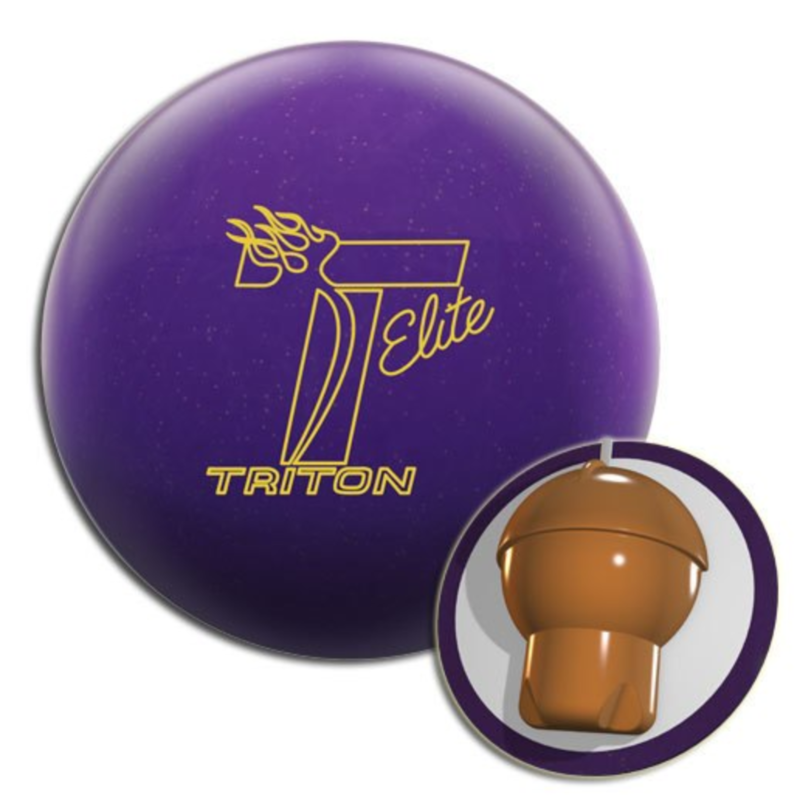 Our first thought was that it bounced off the dry more assertively than we expected, especially for a ball in the left hand column of Motiv’s ball guide. Hitting the dry made the Villain more angular and carried very well. Bryan kept chasing in with various moves to see how the Villain would perform. He made parallel moves to push the breakpoint further into the oil and it did make the ball smoother, it still had a nice very reliable hard arc to the pocket. If he moved in but still tried to get it to the friction, it made a more angular move to the pocket. Bryan’s eyes lit up throwing the Villain. In terms of miss room, Bryan saw something similar to what I saw. If you miss out, the ball does burn up but tends to makes its way back to the head pin enough to leave something makeable. From inside, it just wouldn’t hold and more likely to punish. On to Eiffel Tower. This is a 48ft sport pattern. 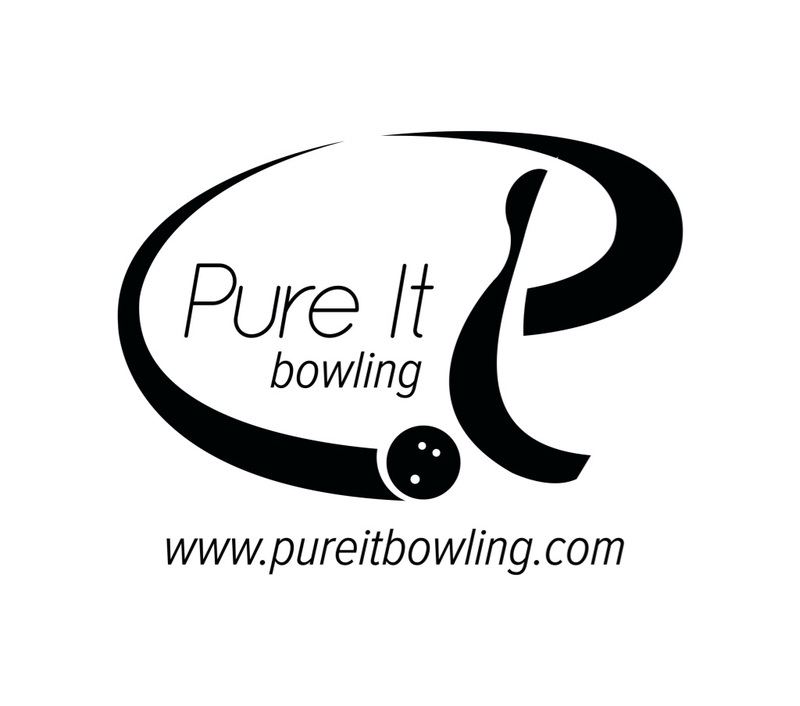 Long patterns can be played in a couple of different ways, typically settling in to deep lines eventually, keeping the breakpoint tight to the headpin. For both testers, the shot only had a couple of games on it but just enough to wear down that tight freshness. From the left side, I try up the boards to start if it plays. It’s tough to play the pattern this way but I did find a tight line about 10 to 8. I felt comfortable throwing this piece as much as any solid piece from this line. No ball will hold missing in from this line but it gave me reasonable space to the pocket. I couldn’t miss to 10 for sure but missing to 6 and I still at least will get back to the headpin. So I nice slot to 7, 8, and maybe 9. Not a lot of room but this is a tough shot. Bryan again really liked the Villain on this pattern as well. He started trying 12 to 12 which is his go to with strong pieces and quickly found the Villain is too much. Made a couple of adjustments to find the line and found himself going + or – 14 to 10 with a really good look. He was surprised by how much angle the Villain generated on this pattern as he typically has to close the downlane angles quite a bit on this long pattern. This allowed him to relax. Again he knew exactly what he was getting with every shot thrown. No surprises. Miss a little and it translated quite easily. We test a lot of balls and while every manufacturer touts the latest and greatest, I keep looking for that ball they claim as a benchmark and how will it hold up. 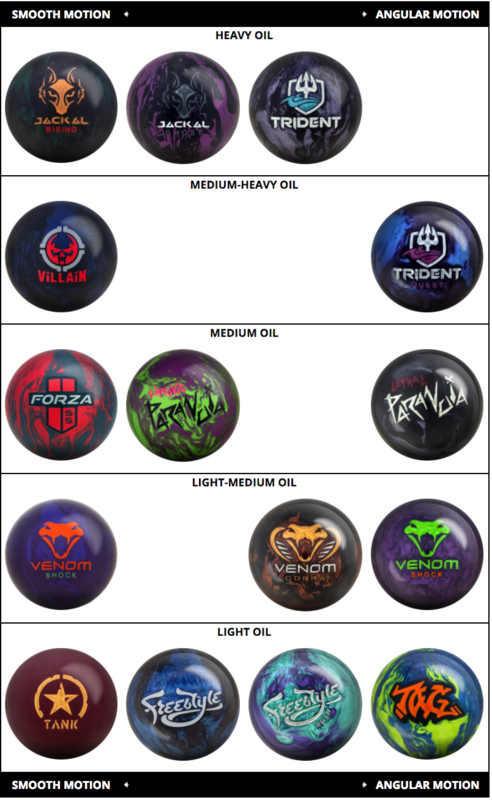 The Motiv Villain looks like it fills that slot. 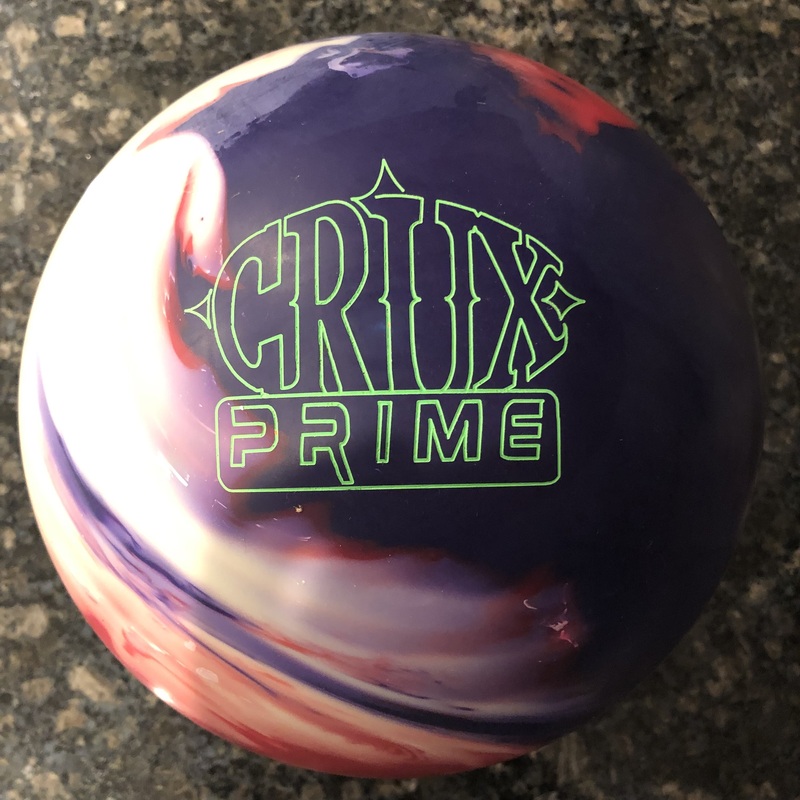 I actually think Motiv might be undercutting itself by putting it fully in the left side of their ball guide. Given the 4 lines they now have, this is at least 1 over from where it is now, especially considering where the Havoc and Venom Shock sit. This means that more bowlers will like this. It is smooth and controllable but misses out don’t completely die. For a benchmark, I look for a ball that is 2/3rds. Meaning the transition happens about 2/3rds down the lane. It starts to transition just before the breakpoint and is smoothly but booming exiting the pattern. This way you don’t fully rely on dry boards to see motion (skid/flip) or ball roll (early roll out). OK, this is all very technical but that’s what makes this a proper benchmark. We like it.